It’s time to start looking ahead to the new year and imagining all of the incredible goals out there waiting to be smashed. This is a list that is subject to change as life throws its curveballs but setting goals is the perfect way to stay motivated as we ring in 2015. Once I start mapping out my big races for the year my enthusiasm ramps up and I am ready to start training. Last year my focus was on racing the Boston Marathon and although I will miss training for Boston this year I am not going to miss the miserable sub zero temperature long runs that greeted me every Sunday morning. This year my big goal race is something new which I am very excited about. I am looking forward to having my awesome coach Denise Goode from The Sustainable Athlete help me to reach my goals! To completely rehab my back (see my post on SI joint trouble to read more) . . . the rest of my goals all depend on how this one goes . . . fingers crossed! To complete at least one (or maybe all) of the Winter Wild Mountain Racing Series. The Winter Wild races will continue this year with a shortened schedule. Winter Wild was originally started by Chad Denning, an amazing ultrarunner from our running and racing community who tragically passed away this year while out on a training run on Mt. Moosilauke. Brandon Baker, a great friend of Chad’s will be leading the way to make the Winter Wild mountain series happen again this winter in New Hampshire as one way to keep Chad’s spirit living on. This year the series will be comprised of 4 races at Ragged Mountain, Pat’s Peak, Mt. Sunapee and Bretton Woods. I hope to be there for at least one race to run for Chad. To race my first snowshoe race. To run some new half marathons and possible beat my PR of 1:37?!?! To race 3 Olympic Triathlons: The White Mountains Triathlon, The New England Trifest, and the Lobsterman Triathlon and to improve on my Olympic Distance Triathlon finish time. My big goal race: To train for and race my first HALF-IRONMAN! I am already signed up for the Timberman Triathlon. IRONMAN 70.3 here I come! I am extra excited about this goal because I have a new training partner for triathlon who will be sharing this awesome race adventure with me! It’s almost 2015! Time to set some new racing goals. I’ve got some new goals up my sleeve? 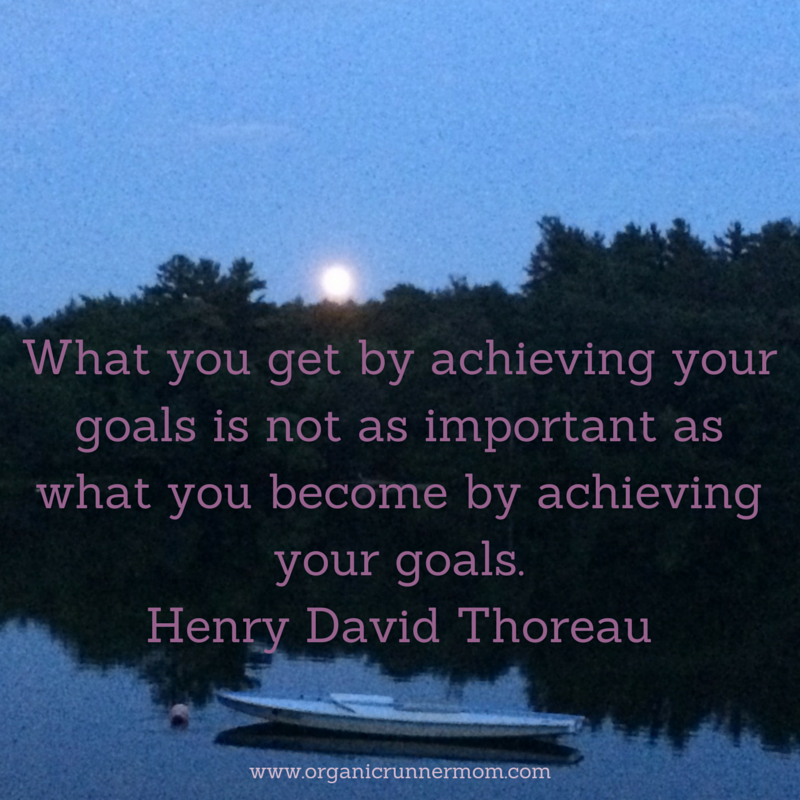 What goals do you have? 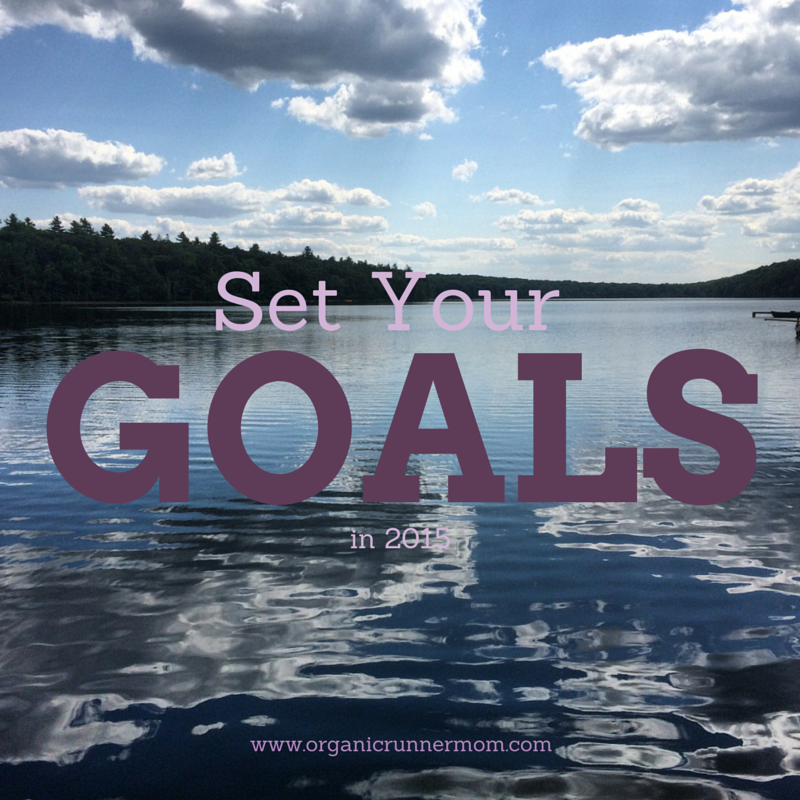 Now that I have set forth my goals, what are YOUR racing goals for 2015? Do you have any new races planned? Are you hoping to smash an old PR? I’d love to hear all about it! Wow! As a complete non-triathlete, I admire anybody who trains for an Ironman race! Good luck with your training! My big racing goal is the SLO marathon in April. While PRs are long behind me, I’d like to at least run a respectable time in my 37th marathon. I have complete faith you will smash all your goals! Good luck on rehabbing your SI issues. I hope never ever to deal with mine again. Back pain is nothing to mess around with. My main focus for the next 4 months is Boston. I want it to be at the top of my game and put my all into training and running it with all might! Looks like an exciting year ahead for you! All the best with reaching your goals, especially 70.3! 2015 will be the year I finally try a teeny tiny tri. Looks like you have a fun year ahead. I’ve had to postpone my goals for a few months but I’d love to PR on my half time this year. Oh boy – I don’t have any race goals. I tend to get suckered into them by friends who want someone to run/race with. LOLOL! We’ll see how 2015 shapes up. Sounds like you have some work ahead of you in 2015! I love goal setting. It is so rewarding when you accomplish all that you set out to do. Have a Happy New Year! Fantastic goals. I love having something concrete to look at throughout the year and check in with myself along the way. My year was a bit derailed by injury so I hope to gain strength in the New Year and be back for some PR attempts in the fall! Happy New Year! I haven’t set a single goal for what 2015 will bring and that’s kinda weird, but you are making me think about what I really want to attempt!! Melanie recently posted…Motivation?! Where Did You Go?! I love that you have set up race goals. I was gun shy to do so this year after chasing breaking a 4 hour marathon all last year and still not there. It has left me a bit discouraged although I have found out so much about myself along the journey. Great goals, beat a 1:37 half?!?! I only dream of running a 1:37 half. I am focused on running a Spring Marathon as close as possible to 4 hours! I’ve been binging on running/racing posts today, lol. Looking hard at what races will be on my 2015 calendar! OK I need to look into the winter wild series, as a few of those mountains are relatively close to me as well! I hope your back continues to heal, my friend! Happy 2015 to you!!!! RFC recently posted…Gympocalypse 2015: The New Years Resolution Gym Survival Guide. I’m excited about your half Ironman and can’t wait to chat more about tri and HIM training with you! Great goals! My only racing goal this year is like yours: my first Ironman 70.3. I’ve also signed up for a 30k road race, and may also do a 100k cycle. Have an awesome 2015!